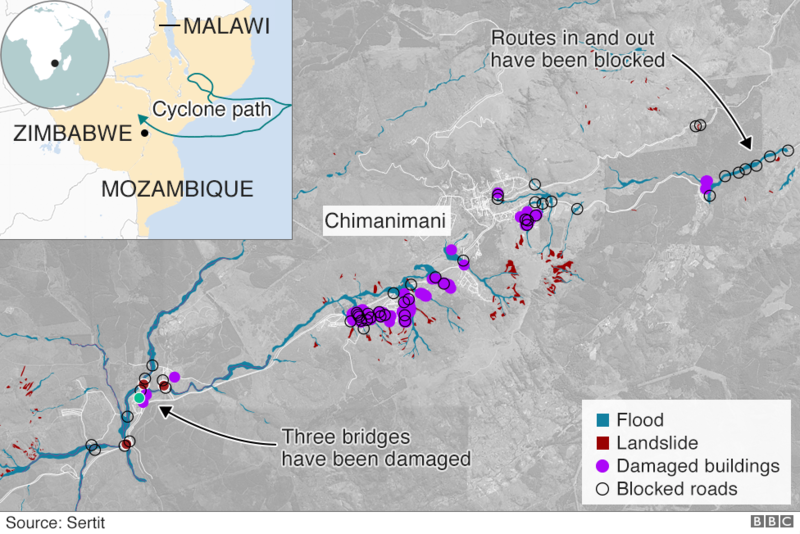 Floods of up to six metres (19ft) deep have caused "incredible devastation" over a huge area in Mozambique, the World Food Programme (WFP) has said, with homes, roads and bridges washed away. 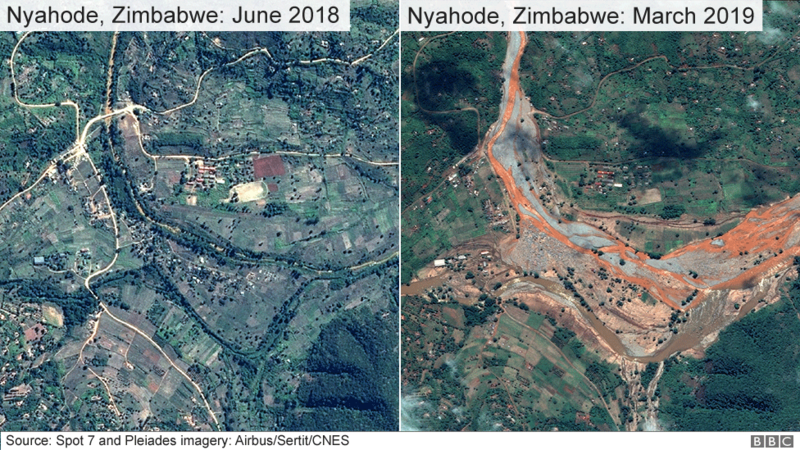 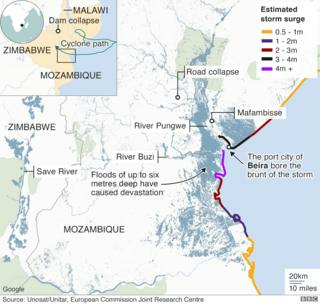 Aid staff who flew over the area have spoken of "inland oceans extending for miles and miles". 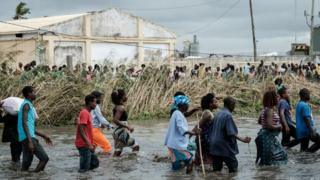 Thousands were "stranded on rooftops, in trees and other elevated areas", said Unicef spokesperson Christophe Boulierac. 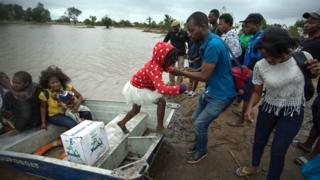 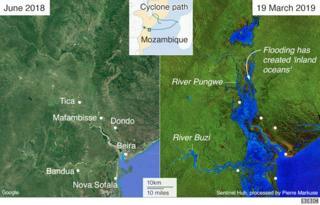 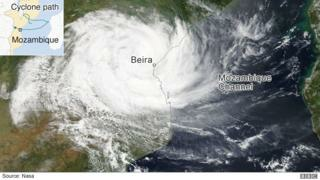 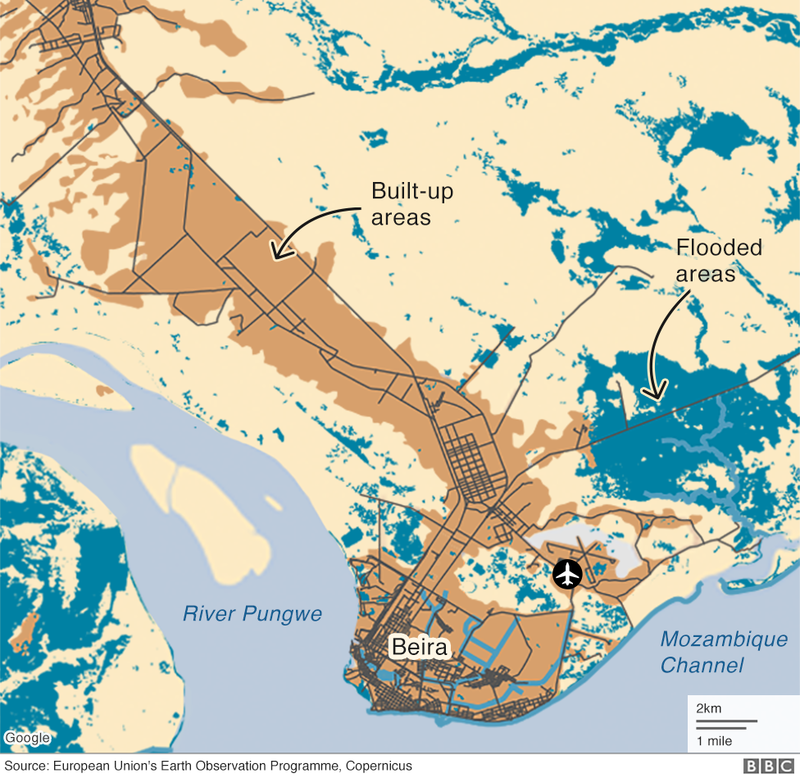 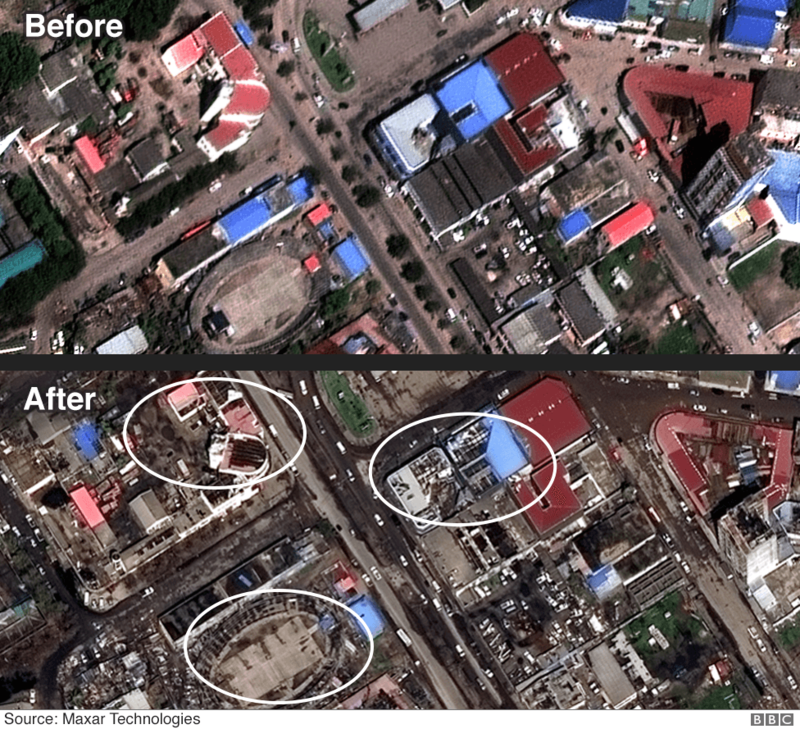 The storm first struck Beira - Mozambique's fourth-largest city and a port that sits on the mouth of the River Pungwe.